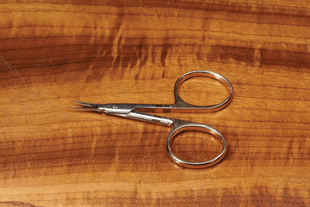 The Caddis Fly Shop offers a superior selection of specialty fly tying scissors for immediate delivery. 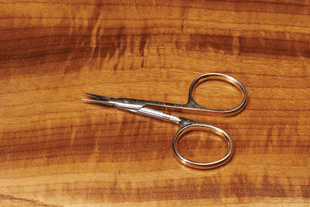 One or more of these fine scissor options will serve your specialty fly tying needs. Shipped free on orders over 25$ with No Sales Tax. 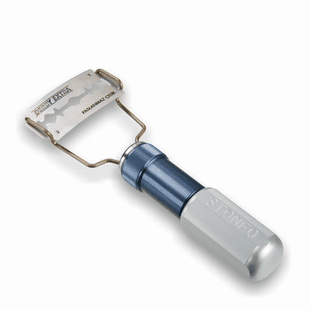 We stock Loon, Terra, Griffin, Dr. Slick, Anvil, Tiemco, and of course Marc Petitjean scissors. 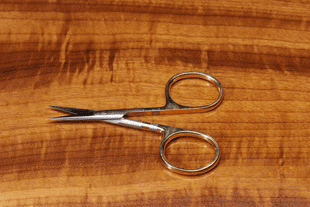 Next to our fly tying vise, specialty scissors are one of the most important tools we use. 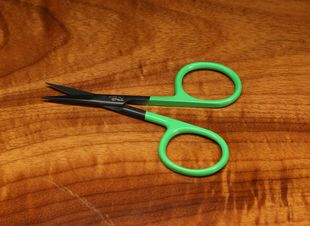 Scissors that are sharp, have the finger loop size we prefer, have the overall size, curve (or lack of same) are a joy to work with. 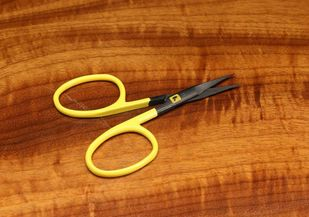 Scissors that are not quite right for our hands, our tying style, or our tying applications, can be frustrating. 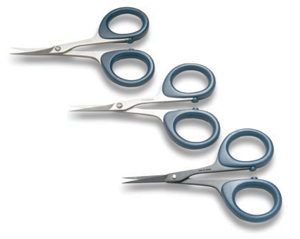 Our fly tyers have used every brand and nearly all of the styles of these scissors. 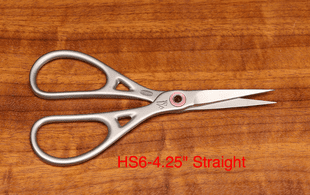 Our choice of scissors to carry is guided by both our pro-tyers and our customer�s responses to these products. 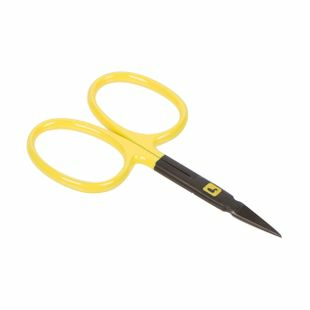 Our selection of fly tying scissors is in keeping with our excellent selection of fly tying supplies, fly tying vises, fly tying materials, fly tying hooks, fly tying kits, fly tying instruction videos.! 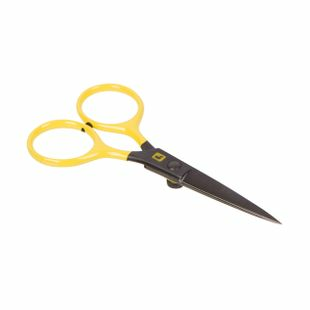 We stock fly tying scissors for every skill level, every price bracket, every tying application, every hand size, and every preference or quirk a fly tyer might have regarding the use of quality fly tying scissors. An example? 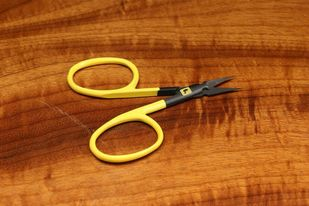 Some fly tyers like to use scissors with large finger loops; some prefer small loops. 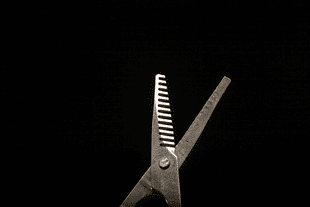 Some fly tyers like scissors with very short cutting points; others like a long cutting surface. 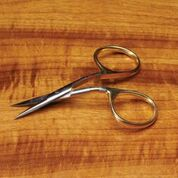 Dr. Slick offers an amazing variety of fly tying specialty scissors and we use them all at one time or another: From the Micro Tip, the hair Scissor, the Iris, the Arrow, The twisted loop, the bent Shaft, scissors especially for synthetics, tungsten carbide scissors and the Dr. slick Razor Adjustable Tension scissors (in two sizes) � these are all fine products. 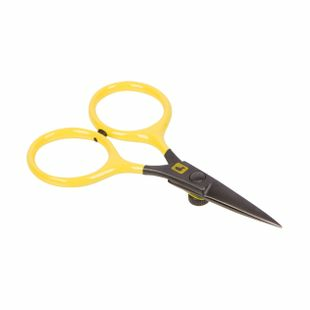 We note that most of the Dr. Slick scissors tend to have rather large finger loops. 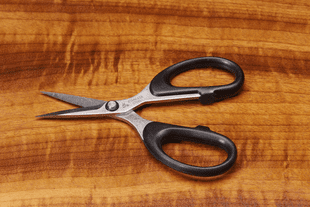 Anvil scissors are reminiscent of the ice tempered Thompson fly tying scissors � so much so that we find these slipping back into our hands our of good habit. 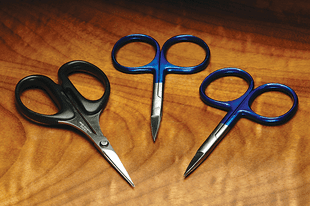 Anvil scissors are offered in 5 styles and have blue easy-grip coating on the finger loops. 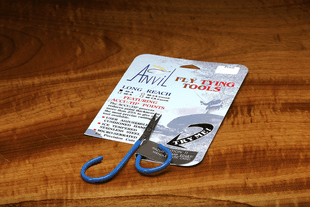 All of the Anvil scissors have adjustable finger loops to suit the size of any tyer�s fingers. 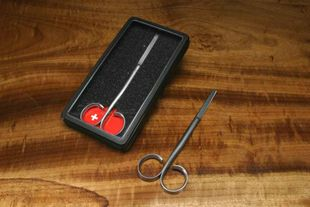 Terra offers very good quality fly tying tools at very reasonable prices. 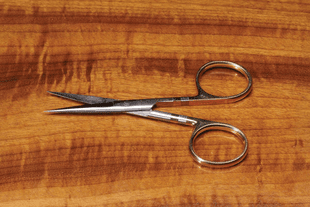 The Terra fly tying scissors are offered in four styles to suit most tyer�s preferences. 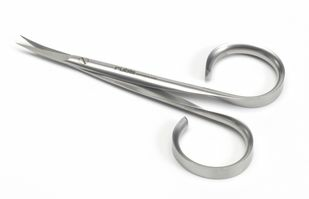 Tiemco offers both straight and curved scissors for the fly tyer, consistent with the high quality standard of the TMC line of hooks and tools. 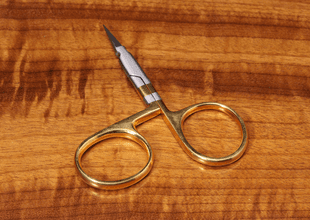 Marc Petitjean fly tying scissors are setting the bar higher in terms of specialty fly tying tools. 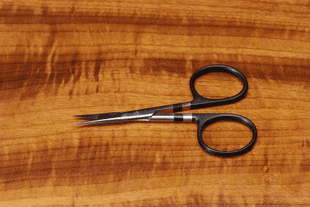 Our first experience with marc Petitjean scissors was using the Long Loop Trim Scissors. These are particularly important assets to using materials in dubbing loops and applying the full function of the Petitjean magic Tool. 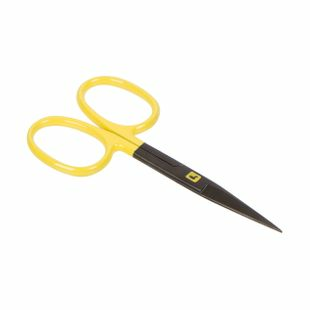 These are great functional scissors. 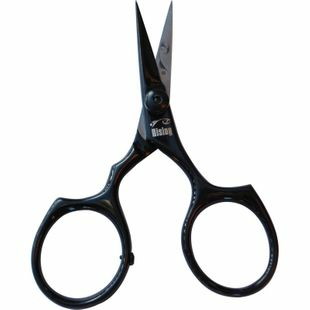 The small curved and straight scissors in the marc Petitjean line have small finger loops and are very, very fine and sharp. 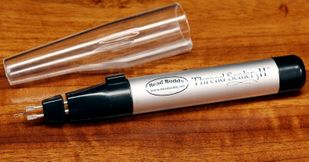 These seem a great asset for making close cuts, especially on dress flies and small patterns. Dr. Slick-Hair fly Tying Scissors 4.5"
Dr. Slick-Arrow Fly Tying Scissors 3.5"
ECO-Arrow Fly Tying Scissor 3.5"